Looking for a way to eat right without sacrificing on variety or the taste of foods you love? 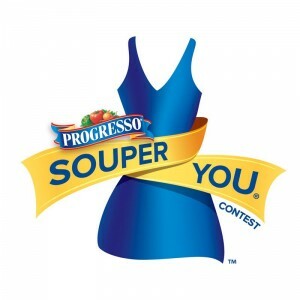 Thanks to Progresso®, you can have your soup and eat it too! Download a printable coupon for $1.25 off the purchase of four (4) cans of Progresso Soup today! http://bit.ly/ProgressoSY11 in your Tweets, Facebook updates and blog posts. You have until Monday, February 27@ 7pm EST to enter! (Winner must respond within 48 hours.) Giveaway open to U.S. residents only. I would like to try the rich & hearty Chicken and Homestyle Noodle soup. I would love to try the roasted chicken & vegtable soup! I'm a fan of F&F on Facebook! I love classic chicken noodle! I entered your shabby apple giveaway! I love the plain and simple chicken noodle progresso soup. I would like to try the roasted chicken vegetable one though. I just entered your Shabby Apple Dress Giveaway! I am a big fan of Progresso's Chicken Noodle Soup! I love the clam chowder!! I'd love to try the Homestyle light soup! I'd like to try the New England Clam Chowder. Would like to try their New England Clam Chowder! Corey Olomon olomon@hotmail.com and my son would live on their Loaded Potato Soup if I let him! I'd like to try the roasted chicken and veggie! I would love the chicken homestyle noodle soup! I love the New England Clam Chowder light. It's my favorite! Liked both FB pages as Ani G W.
I would like the tradition chicken noodle soup. I like their Chicken Enchilada and their Pot Roast Soups especially. I like the split pea and ham. Amy W. cwitherstine at zoominternet dot net My favorite is the Chicken and Dumpling.